SATURDAY, March 16, 2019 -- People who've already had a heart attack or stroke can cut their odds for another one in half if they regularly take cholesterol-lowering statins. SUNDAY, March 17, 2019 -- Tucking a pacemaker inside an antibiotic-soaked mesh envelope before implanting it inside your body can drastically reduce your risk of a dangerous infection, a new study shows. 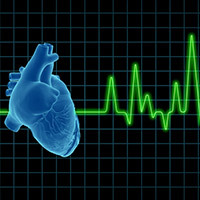 About 1.7 million patients receive cardiac implants like pacemakers or defibrillators every year worldwide, and doctors use preoperative antibiotics to lower the chances of infection. WEDNESDAY, March 6, 2019 -- Keto, Paleo, Atkins -- there's no shortage of low-carb diets to try, but new research suggests that over time, living low-carb can raise your risk of a heart condition called atrial fibrillation, or a-fib. MONDAY, Jan. 28, 2019 -- Newer blood thinners are recommended over warfarin for people with the heart condition called atrial fibrillation (a-fib) in updated treatment guidelines issued by three major American heart groups. FRIDAY, Feb. 1, 2019 (American Heart Association) -- Debby Schrecengast's blood pressure was "through the roof." She had gained a lot of weight. A history of heart disease ran deep in her immediate family. THURSDAY, Jan. 31, 2019 -- Almost half of U.S. adults have high blood pressure, heart disease or a history of stroke, a new report shows.